Afterburner ClimaxApr 21, 2010Afterburner Climax is set to feature some fast-paced arcade flying action, offering a branching storyline set over 20 stages. Catering for all skill levels, After Burner Climax will have you taking down a plethora of enemy AI whilst giving you the ab..
Binary DomainFeb 28, 2012 (US)Binary Domain is a "squad-based shooter" by Sega Japan and Yakuza producer Toshihiro Nagoshi which places players in the middle of a fast-paced and intense battle for humanity in robot-invaded 2080 Tokyo. Fighting through the derelict lower..
Comix ZoneJune 10, 2009In Comix Zone™, Sketch Turner is an artist in New York City. One day Sketch is drawing, and a huge thunderstorm threatens the city. A bolt of lightning hits Sketch's image, and brings it to life. 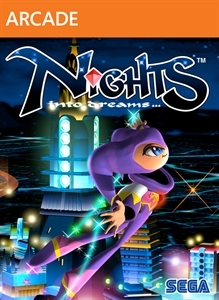 That image is Mortus, a megalomaniac mutant who wants ..
Dreamcast CollectionFeb 22, 2011 (US)The Dreamcast Collection includes fan favorites Sonic Adventure, Crazy Taxi, SEGA Bass Fishing and Space Channel 5: Part 2. Players will get to enjoy four very different Dreamcast experiences, from hopping behind the steering wheel of Crazy Taxi, to ..
Fighting VipersNov 28, 2012Fighting Vipers is a 3D fighting game featuring a similar style of gameplay to Virtua Fighter available from the Xbox LIVE Arcade for Xbox 360. 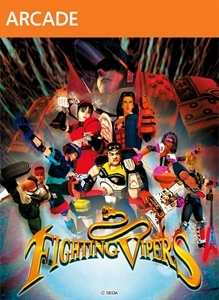 Fight with flair in the return of Fighting Vipers, the classic arcade game from AM2 that was later pl..
FroggerJul 12, 2006Frogger has been announced for the Xbox Live Arcade on 360. Enjoy the classic game Frogger®, revitalized and brand spanking new on your Xbox 360™. 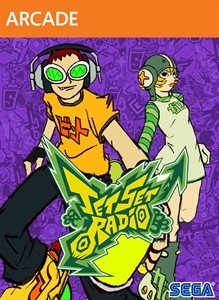 With enhanced artwork building on the original title's style, modernized sound and music, and al..
Jet Set RadioSep 19, 2012Tag, grind, and trick to the beat in SEGA’s hit game Jet Set Radio! Fight for control of Tokyo-to, mark your turf with graffiti, tag walls, billboards, and even rival gang members! Perform tricks and flips on magnetically driven in-line skates, but w..
OutRunApr 15, 2009Experience the mayhem and action of OutRun Online Arcade as you test your time, speed, and handling ability, bringing your next-gen skills online with this coin-op classic. Feel the kick as you put your foot to the floor in one of 10 high-pe..
Phantasy Star Universe: Ambition IlluminusNov 20, 2008Phantasy Star Universe: Ambition of the Illuminus is the expansion pack for Phantasy Star Universe. In addition to new enemies, weapons, levels, and cities, there will be more options available to individualize and customize further the look of playe..
Rise of NightmaresSep 6, 2011 (US)Rise of Nightmares is a horror adventure game exclusively for Xbox 360 Kinect. Features Use your whole body to fight the undead horde with physical brutality. Navigate through Viktor's castle with free movement control, uncover the ..
Sega Bass FishingOct 5, 2011 (US)Sega Bass Fishing a fishing simulator game available for download from the XBLA. Explore the exciting sport of bass fishing! Based on the Dreamcast hit, motor out to eight different fishing locations to catch the biggest and baddest bass possi..
SEGA Mega Drive Ultimate CollectionFeb 28, 2009SEGA Mega Drive Ultimate Collection contains over 40 celebrated SEGA classics in one package; making it the largest collection of SEGA first party games ever offered. 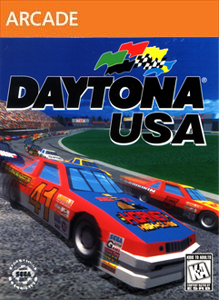 Featured games include; Sonic the Hedgehog 1, 2 and 3, Columns, Alien Storm, Ecco t..
SEGA Rally Online ArcadeMay 19, 2011 (US)When was the last time you enjoyed getting dragged through the mud? Race through five different types of terrain in more rally-bred vehicles than a baker can shake his dozen at. 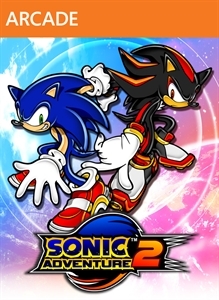 Including the Ford Focus RS, the classic Lancia Delta Integrale and the ..
Sonic Adventure 2Oct 5, 2012In the fight between heroes and villains, will you choose to save the world or conquer it? The hunt for the Chaos Emeralds is on and battle lines have been drawn between Hero and Dark. 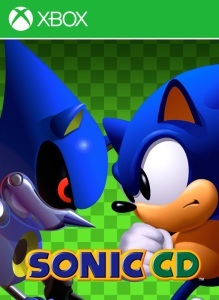 Experience two unique adventures featuring both long-time heroes ..
Sonic CDDec 14, 2011It’s time to usher the past into the future in this enhanced recreation of Sonic CD! Sonic travels to the distant shores of Never Lake for the once-a-year appearance of Little Planet – a mysterious world where past, present, and future collide throug..
Sonic Free RidersNov 4, 2010Sonic arrives on Kinect with his signature speed in the fastest Kinect game available at launch!.. 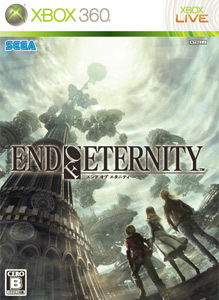 Sonic GenerationsNov 1, 2011 (US)Sonic’s universe is thrown into chaos when a mysterious new power creates ‘time holes’ which pull him and his friends back through time. 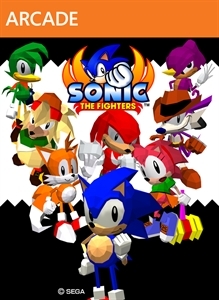 As a result he encounters some surprises from his past history including Classic Sonic, Sonic as he appeared in 1..
Sonic the FightersNov 28, 2012Join Sonic and friends in battle in this classic arcade game from AM2. Originally on consoles as part of the Sonic Gems collection, Sonic the Fighters is back with an all-new online mode, including both online versus and tournament play. 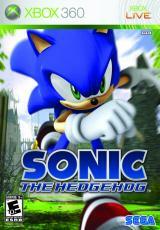 In single pl..
Sonic The HedgehogNov 14, 2006SEGA hopes the reinvention of this popular franchise will thrill both the long-time Sonic fans as well as a new generation of gamers with the exciting speed and action only possible on next-generation platforms. Sonic The Hedgehog for Xbox 360 an..
Sonic the HedgehogJul 11, 2007Microsoft and Sega join forces to bring some of the best console classics to Xbox Live Arcade including “Sonic The Hedgehog High Speed.” Everyone’s favorite blue hedgehog makes his high-speed debut in high definition with full leaderboard and achieve..
Sonic the Hedgehog 4: Episode 1June 15, 2011 (US)Sonic the Hedgehog 4: Episode 1 for Windows Phone..
Sonic's Ultimate Genesis CollectionFeb 10, 2009Sonic's Ultimate Genesis Collection (Sega Megadrive Ultimate Collection [PAL]) features over 40 titles from the SEGA Genesis era. 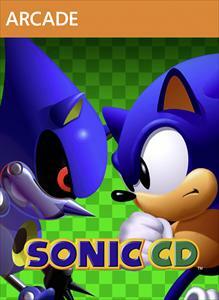 Some Games Include Sonic The Hedehog Golden Axe Shinobi Ecco The Dolphin Altere.. The House of the Dead 4TBAThe House of the Dead 4 once again will thrill gamers thanks to beautifully rendered gore, time-sensitive gameplay, and a wide variety of branching paths as you explore a post-apocalyptic wasteland. 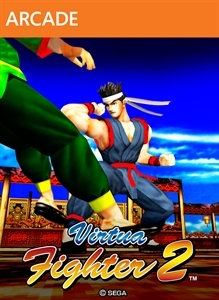 You’ll defy the undead with machine guns in hand, t..
Virtua Fighter 2Nov 28, 2012Virtua Fighter 2 is a fighting game developed by Sega. Go back to the roots of 3-D fighting with Virtua Fighter 2, the second title in AM2's flagship fighting franchise. Experience the legendary polygon-based 3-D graphics and fluid fighting mechan..
Virtua StrikerFebruary 13, 2014Virtua Striker XBLA..
Virtua Tennis 4May 10, 2011 (US)Virtua Tennis 4, also know as Power Smash 4 in Japan, is the first tennis game for Xbox 360 to implement Microsoft's Kinect motion sensor for an active tennis experience. Developed by the original Virtua Tennis Team in Japan to take fu..
Soccer fans worldwide can now take part in the excitement that is 2006 FIFA World Cup™, the only official videogame of the 2006 FIFA World Cup. Immerse yourself in the world’s greatest sports tourname..